Automotive Manufactures in India considers Central and State Government employees one of its most important and elite customer groups. They occasionally announce special benefits and offers to these customers which they can avail by simply walking into their dealership with their valid photo ID and the last salary slip. Here is a detail report on offers granted to Government Employees From different car manufacturers in India. Toyota Kirloskar Motor provides special offers for the Government employees under the ‘Drive the Nation’ campaign. 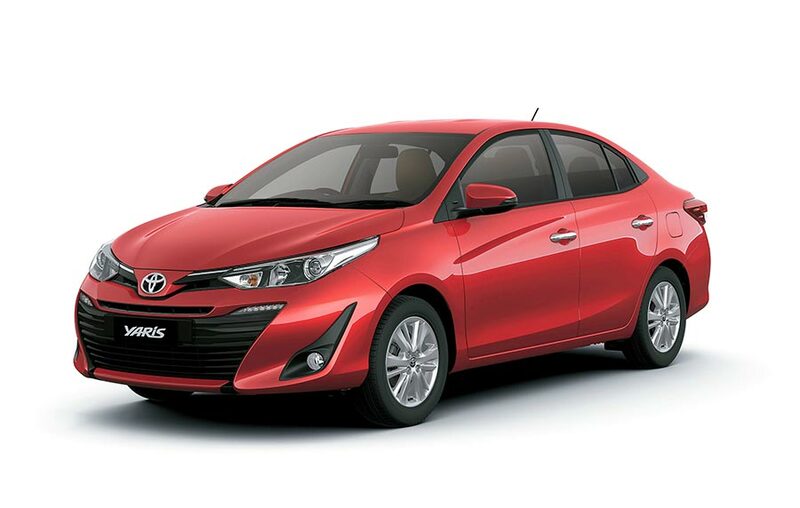 The company has now included its latest offering Toyota Yaris under this campaign. Drive the Nation scheme presents a 100% On Road Funding for a tenure of 8 Years for serving and retired government employees with Zero Down Payment and Lowest EMI. The campaign, which has been highly appreciated by customers across India for its customized offers, previously included the Innova Crysta, the Etios series and the Toyota Corolla Altis through various phases of the campaign. Tata Motors has an exclusive offer for India’s Central and State government employees called the ‘Trust of India. This initiative is a dedicated step towards building and strengthening relationships with the government employees. Under this scheme, the Company recognizes the contributions of government employees towards building the nation and offers them several benefits such as additional cash discounts or the options to buy extended warranty policy, AMC as well as accessories package on the purchase of their choice of Tata Motors’ passenger cars. ‘Trust of India’ is a long-term initiative and the offers under this scheme are refreshed every month. 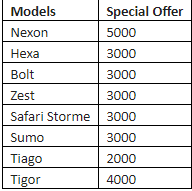 Mentioned below is a table elaborating on the discounts offered on various models for the month of July 2018. 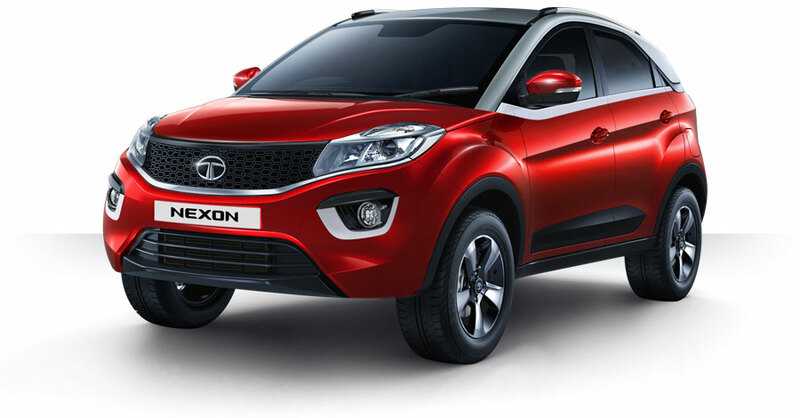 Tata Motors also offer 100 % on road finance options at a rate of interest starting 8.9 % pa through their finance partners.